With this week marking what would have been your 100th birthday, I felt obliged to commemorate your life and your accomplishments. 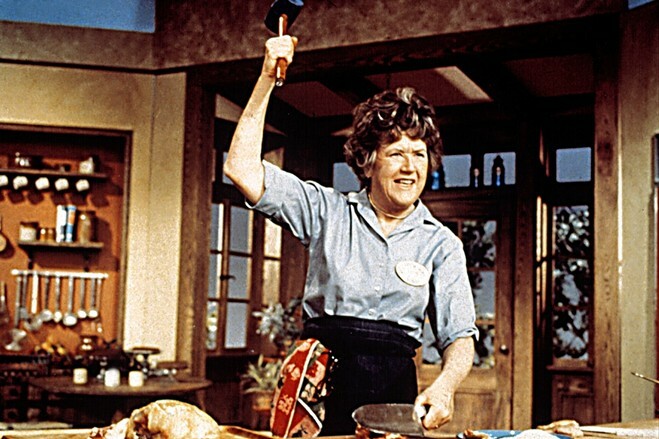 Before you were Julia Child, you were Julia McWilliams of Pasadena, California. It’s hard to believe, but you weren’t always passionate about food and cooking. You met your husband, Paul Child, and fell in love. You and Paul moved to Paris–unbeknownst to you, this relocation would change your life forever. While there, you fell in love again (this time with food). The passion and curiosity that blossomed led you to train at Le Cordon Bleu and work with some of the finest chefs. Your fondness for the art of French cooking was so strong, that you wanted to share it with the world outside of Paris. And while it was a long and labored process, you managed to write one of the most iconic cookbooks of all time, paving the way for home cooks, mostly women at the time, to embrace cooking with many of the techniques and flavors you’d found so moving across the Atlantic. That book–Mastering the Art of French Cooking. With the book, came fame. So much so that you had your own television show…which eventually became about eight more. And at least one movie. 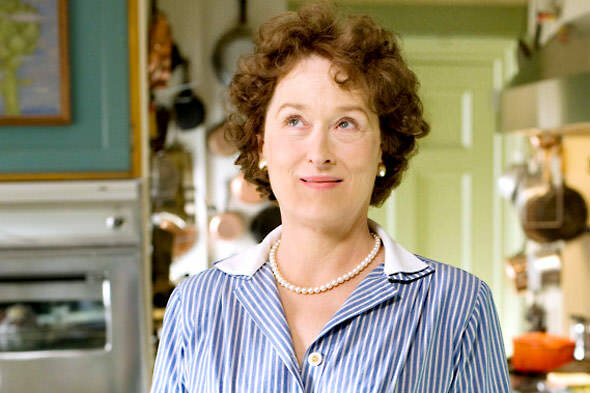 Meryl Streep played you and it was magnificent. Sometimes, you cooked with swords. Sometimes, a mallet. You had a tool for everything. The world fell in love with your food…your beef bourguignon most of all. Food introduced you to some of your greatest friends (here, with Jacques Pepin). Paul remained by your side through this journey of food and fame. And quite a journey it was. Your story goes down in history as one of the most inspiring examples of living your dreams through food. You will always be remembered. We love you, and we miss you. Beautiful tribute here, to a beautiful life! Beautiful sentiment, lovely woman, poor writing. 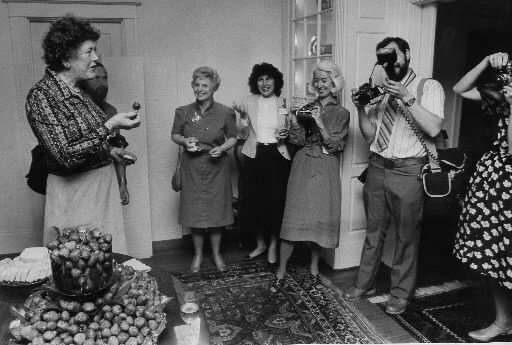 I love Julia Child; she inspired multiple generations of Americans to embrace food and to love the process of cooking and sharing the table. This “letter,” however was just really awkward and made me cringe – don’t tell a person details about her own life. This letter felt like the author had seen Julie & Julia and just summarized the timeline. I hope this website demands better of its writers in future. You left out the part about all the homophobic vitriol that she used to spew. Shouldn’t you acknowledge the bad with the good? You left out the part about all the homophobic vitriol she used to spray about gay men such as yourself. You should acknowledge both her achievements and her defects, the latter of which there were some grievous ones.